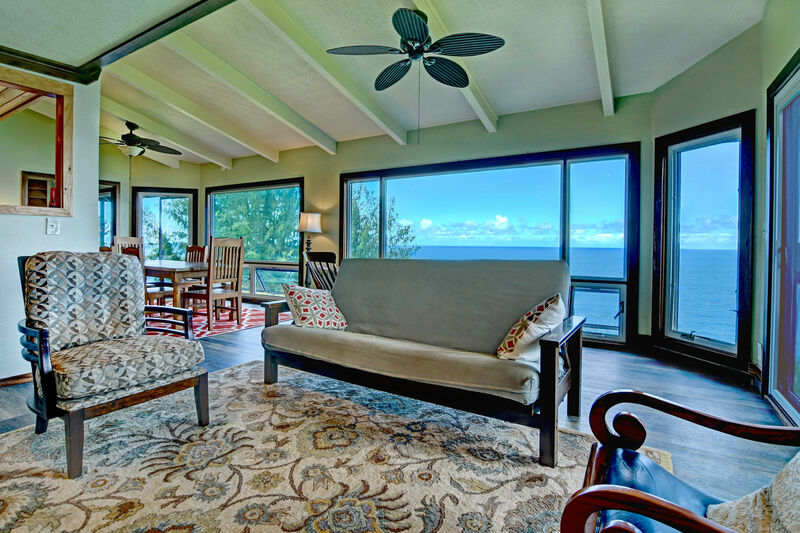 Moonlight Bay, oceanfront home in Hilo, Hawaii is the perfect haven for two travelers. 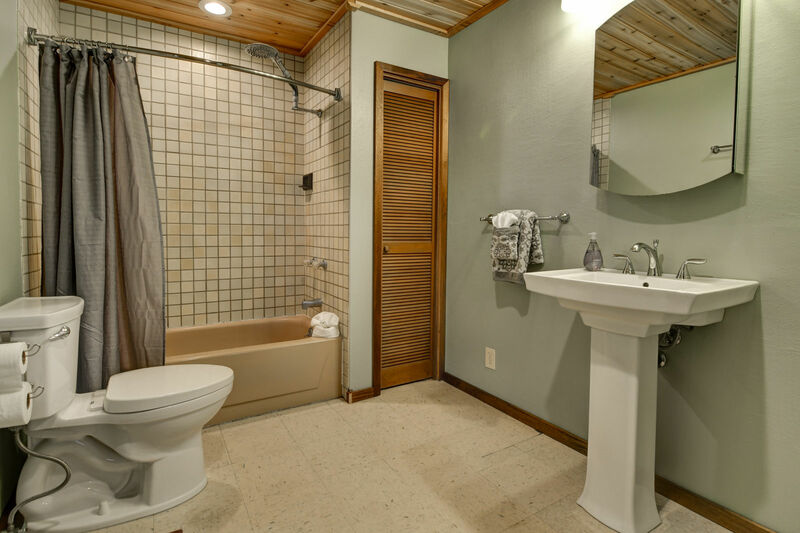 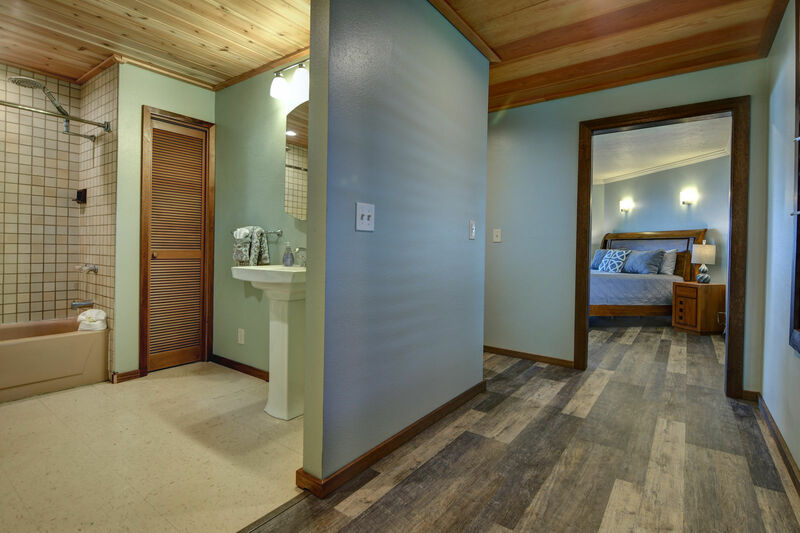 Whether a romantic getaway or a business trip, the house has you covered with two bedrooms each with an ensuite bathroom. 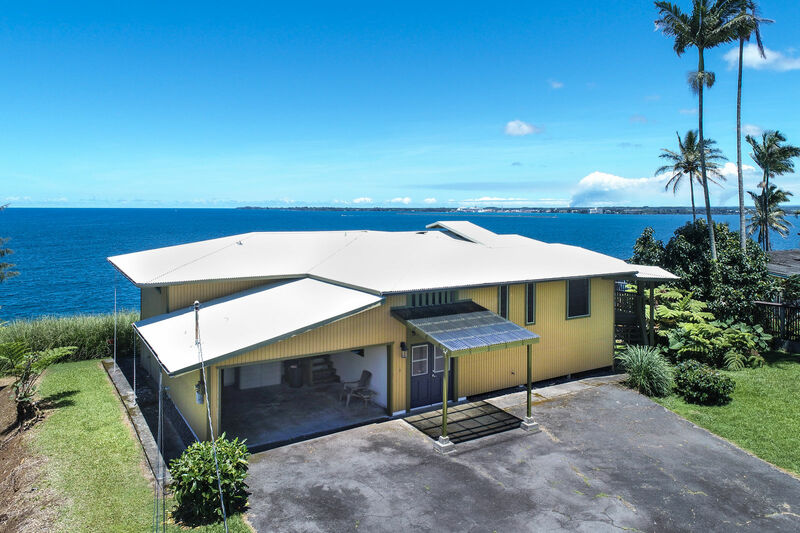 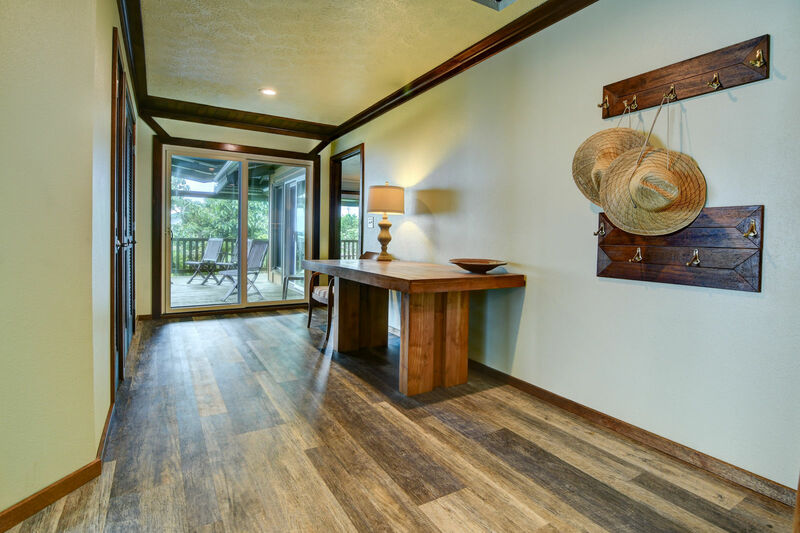 Magnificent views of Hilo Bay are seen from every room in the house! 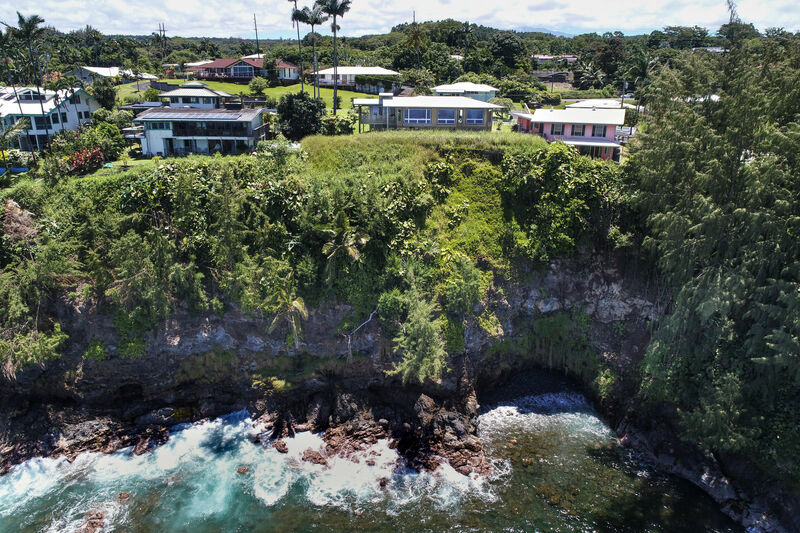 Within close proximity to downtown Hilo you'll have wonderful restaurants, festivals, museums and shops to enjoy. 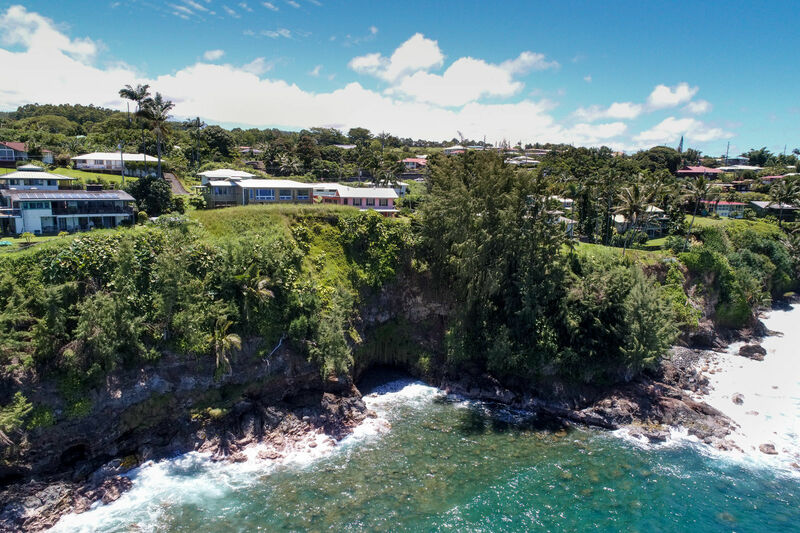 The Hamakua Coast to the north is also a breathtaking scenic area with lush botanical gardens, dashing waterfalls and shooting rainbows to revel in. 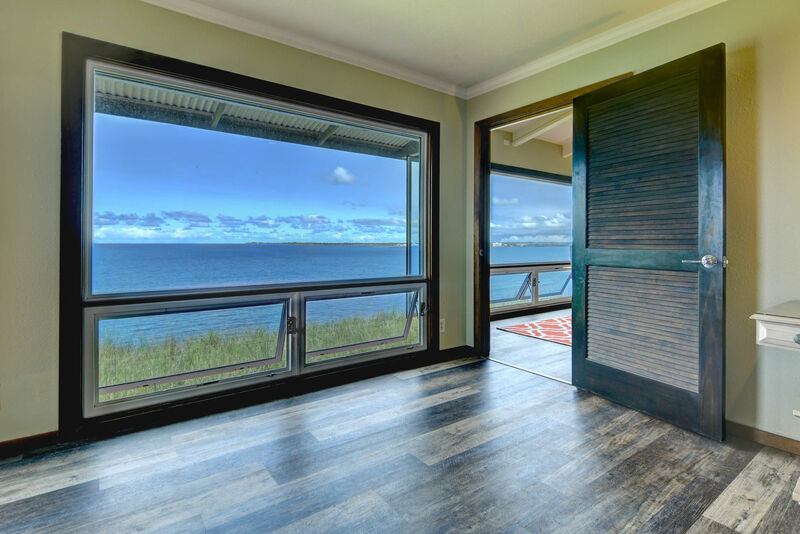 Moonlight Bay has comfort and location, location, location! 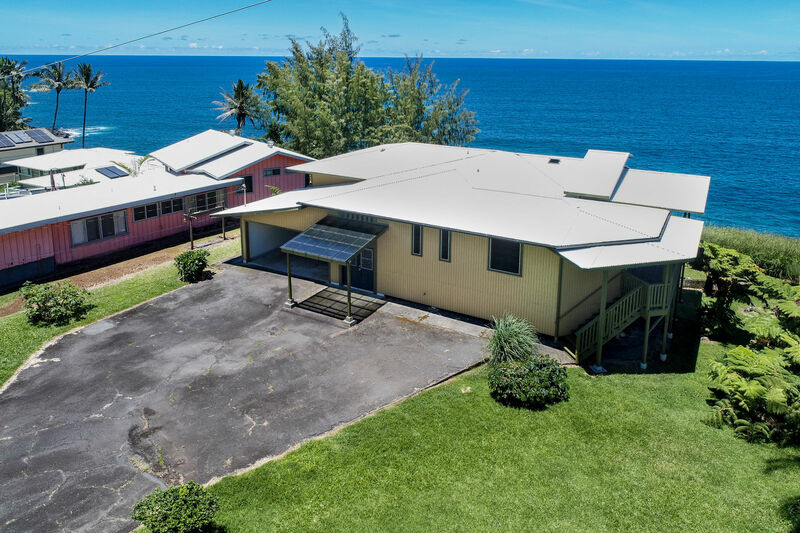 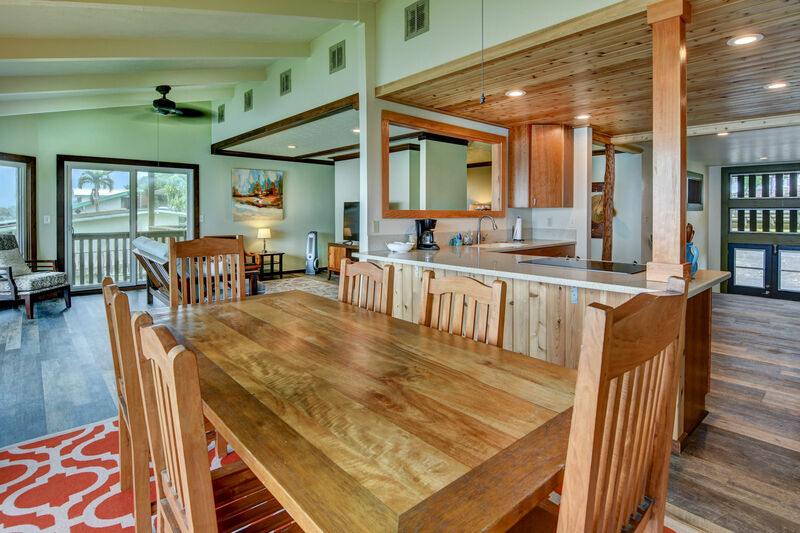 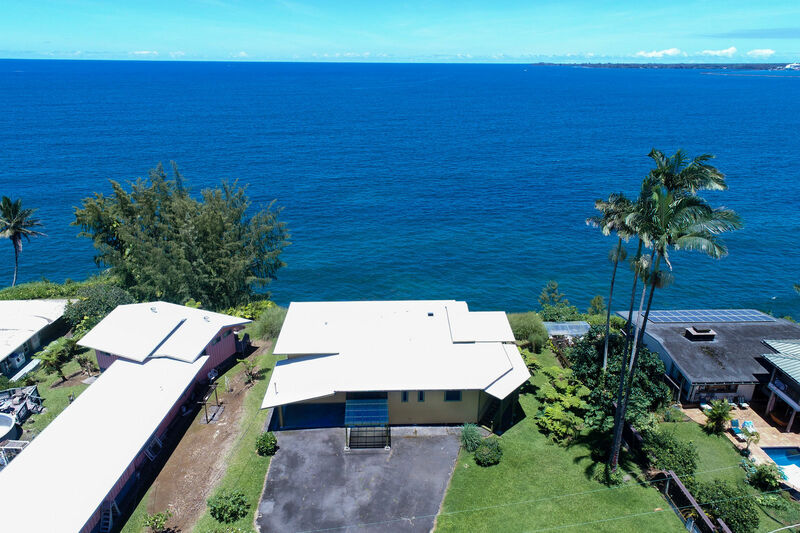 Situated on a house lot in a quiet residential neighborhood near Honoli'i Surf Beach, Moonlight Bay is best suited for quiet travelers looking to enjoy Hilo and surrounding areas. 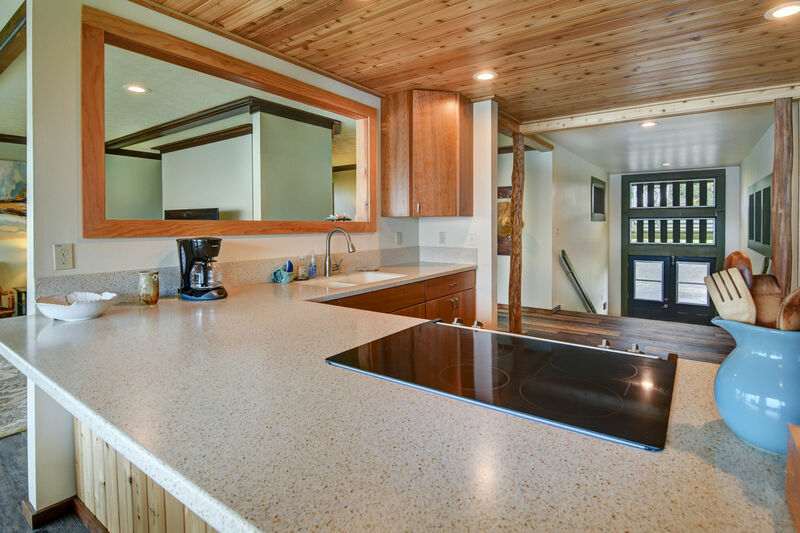 Park in the covered/attached carport and enter the lovely home. 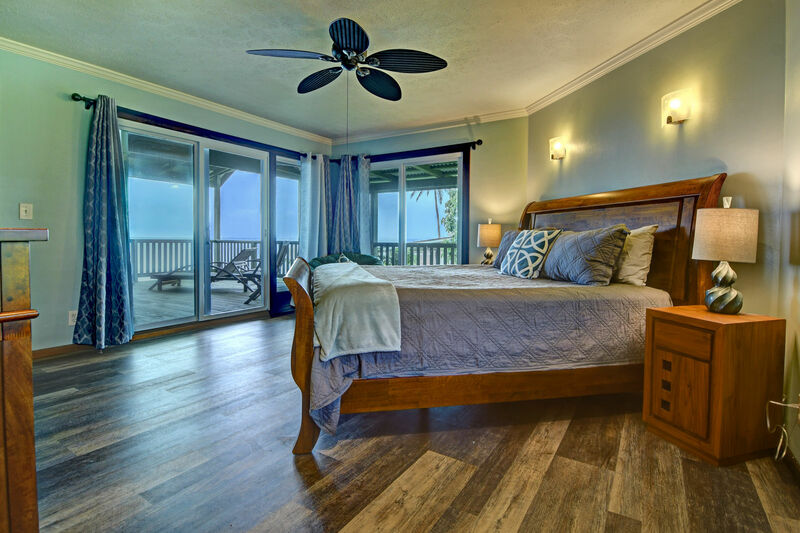 Moonlight Bay boasts amazing ocean views from every room in the house (except the master bathroom!). 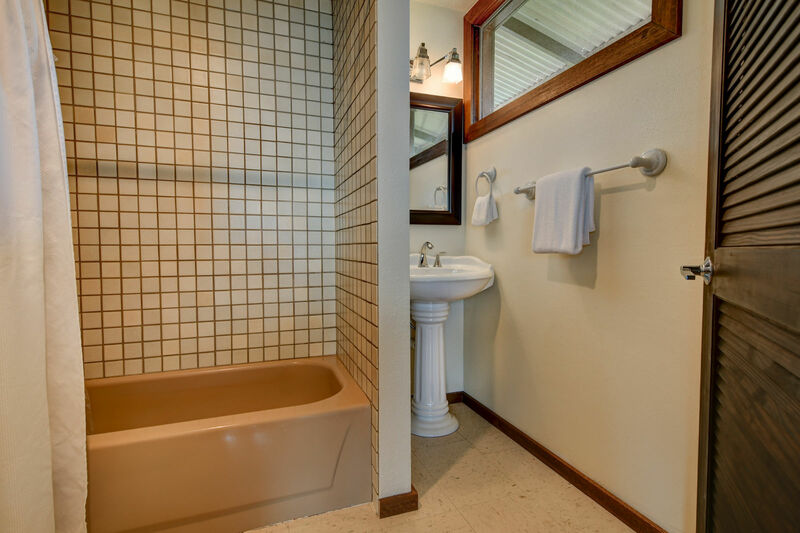 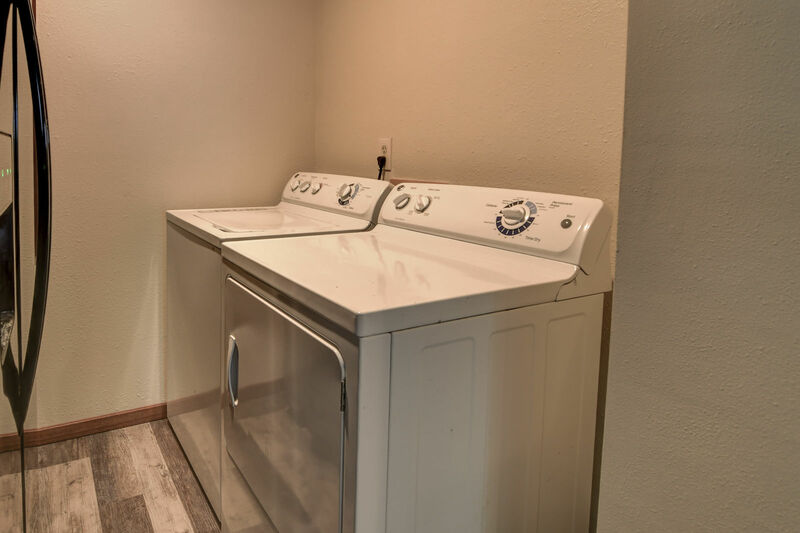 The two bedrooms are located on either end of the home for nice privacy. 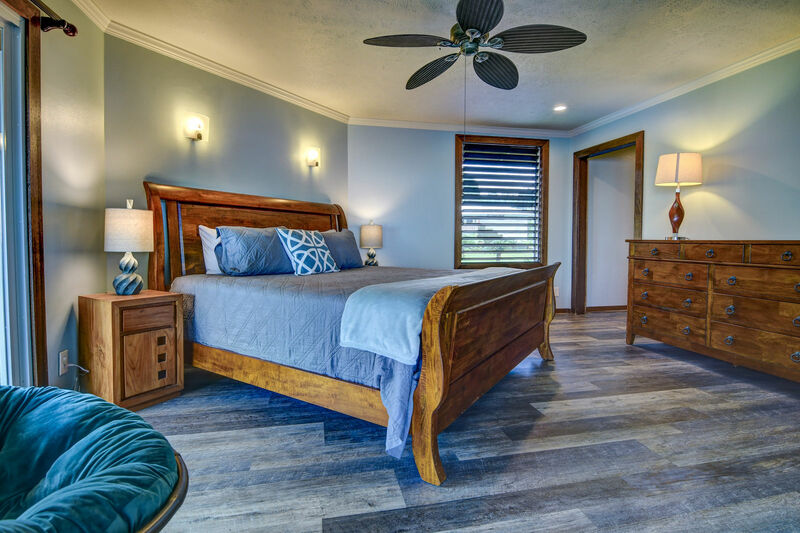 The master bedroom has a king size bed, access to the covered lanai, a walk-in closet and ensuite full bathroom with bathtub and shower. 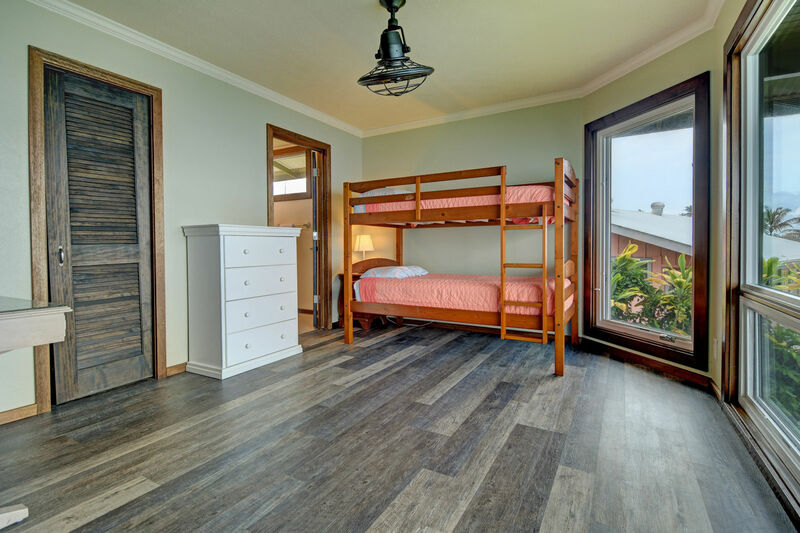 The second bedroom is furnished with a bunk bed, standard closet and ensuite full bathroom. 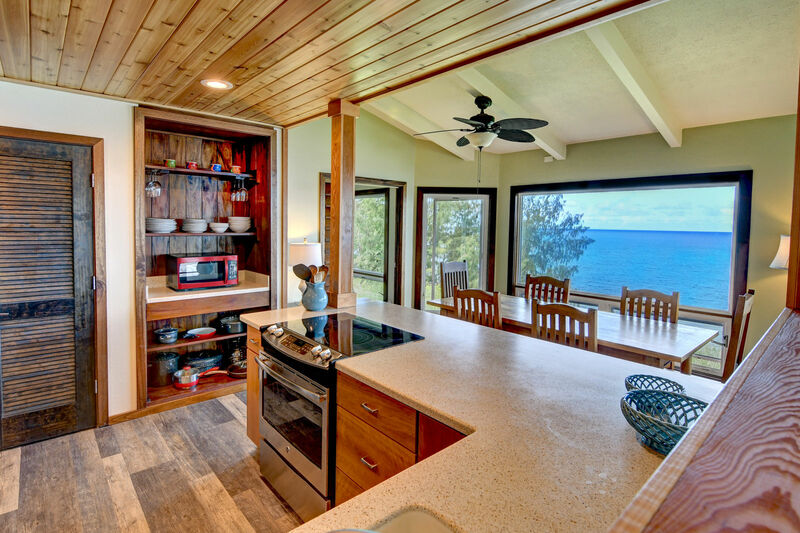 The kitchen is fully equipped for cooking or eating take-out. 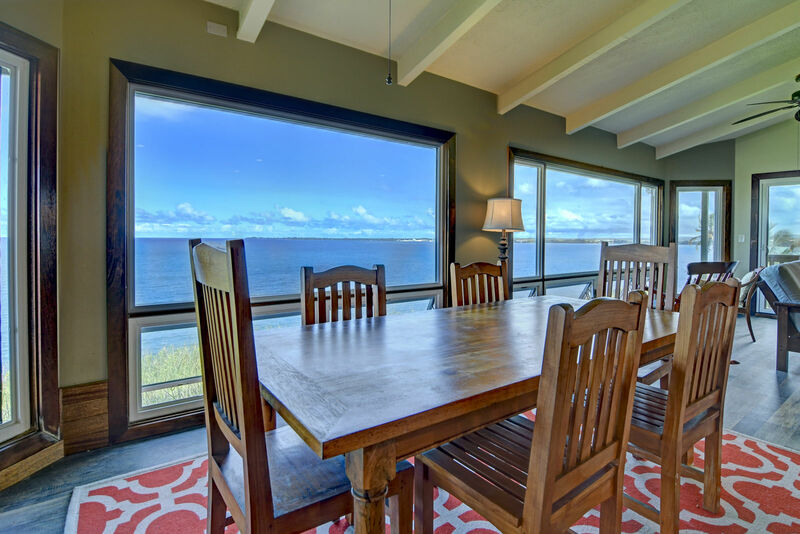 The dining table overlooks the amazing Pacific Ocean views and the living room is open too. 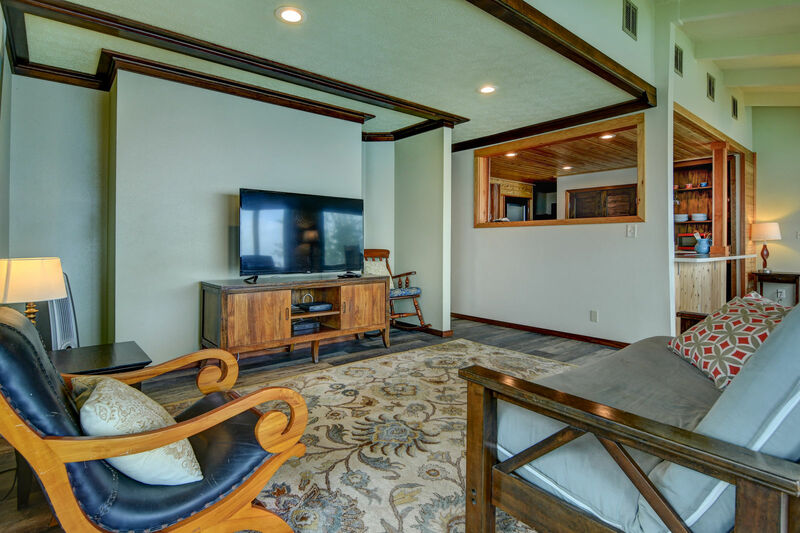 Entertainment via flat screen TV, basic cable and free WiFi. 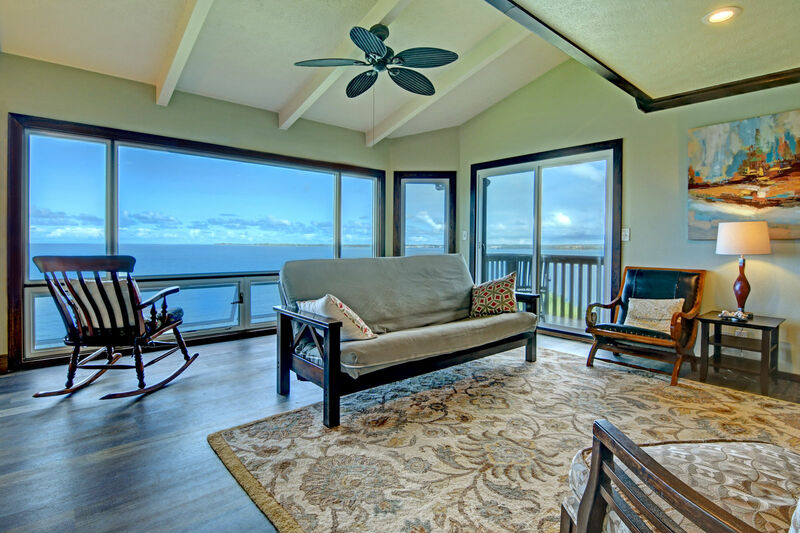 Our favorite place to hang out at Moonlight Bay is on the covered back lanai. 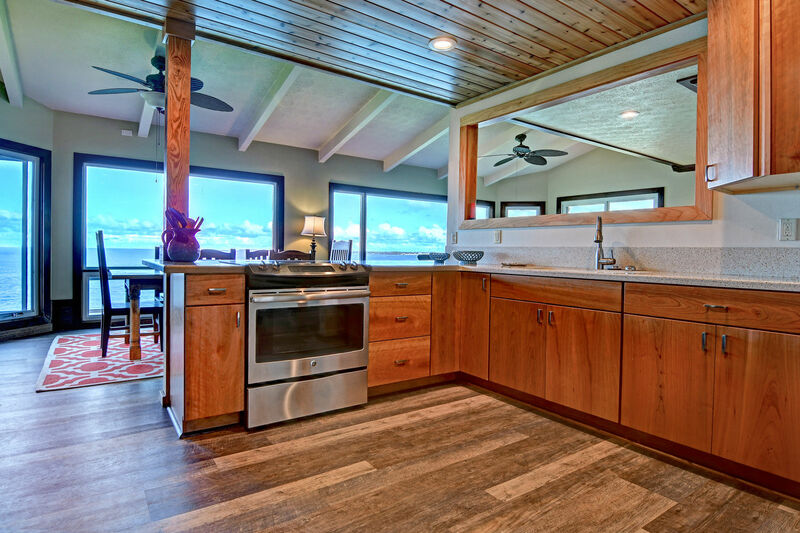 Here you can languish in the ocean views or grill your favorite foods on the gas grill. 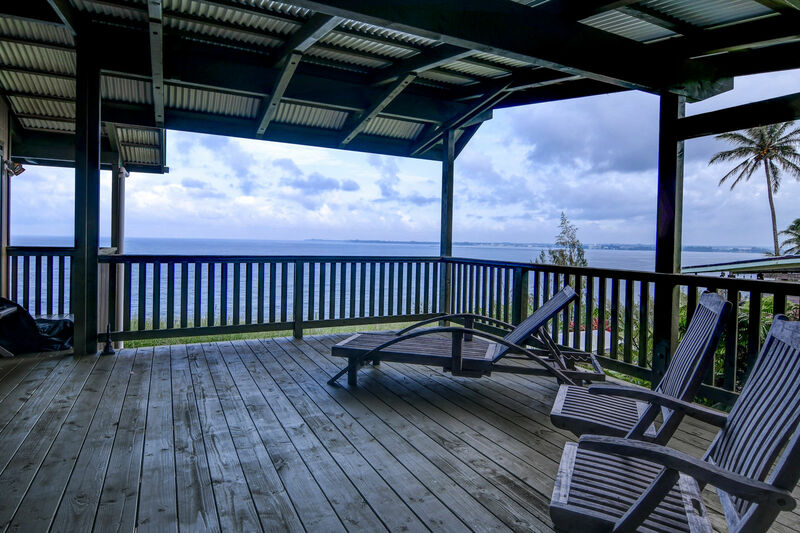 This is paradise, ahhhhh!